May 22nd 2017. We are delighted to announce that we have been shortlisted in the Global Impact of the Year Award category at the 2017 Beyond Sport awards! We are joining a prestigious list of nominees in this category which includes Women Win and Skateistan. 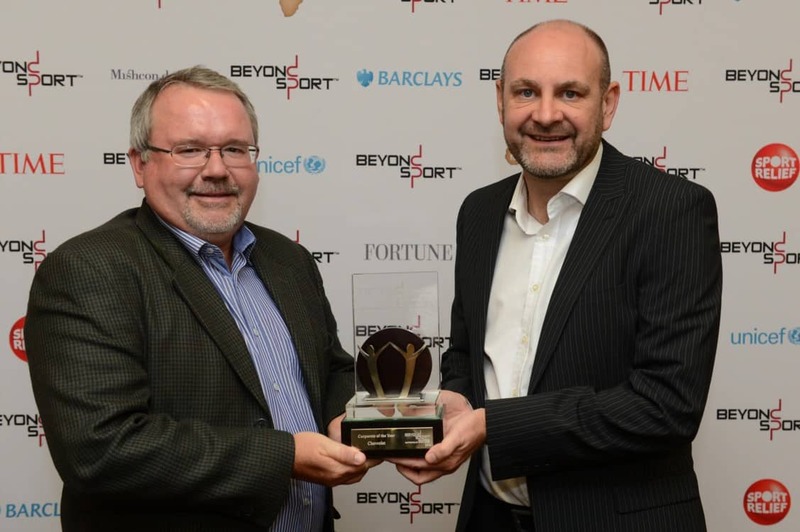 As a global organization Coaches Across Continents is honored to be recognized in this way by Beyond Sport. 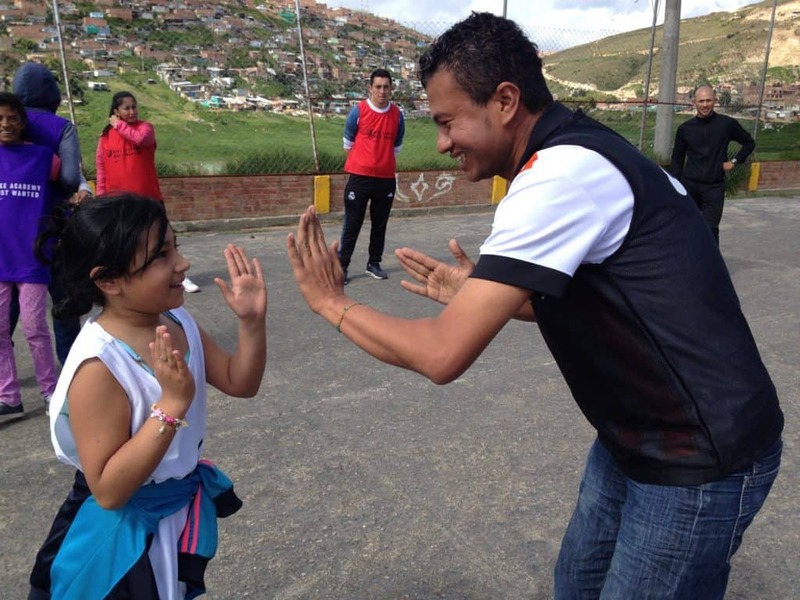 In 2017 we have partnerships on six continents with a wide range of organizations, corporations, governments and communities who use sport to educate young people. 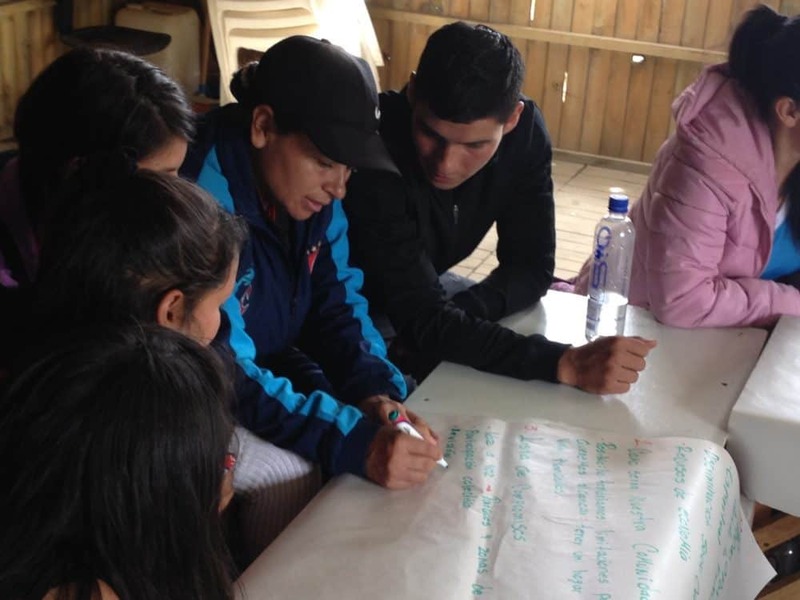 Two of our partners, YFC Rurka Kalan in Punjab, India and Grupo Internacional de Paz in Colombia, are also shortlisted for the awards so we wish them congratulations. This is the 5th time CAC has been shortlisted at a Beyond Sport awards. Of these nominations we have previously had two wins; ‘Best New Project‘ for the Hat-Trick Initiative in 2009 and ‘Corporate of the Year‘ for our partnership with Chevrolet in 2014. In 2015 we were also shortlisted for the UNICEF Safeguarding Children in Sport award. We would like to thank Beyond Sport for the recognition and all of our partners, Community Impact Coaches, Global Citizens, advisory board, program participants and supporters for their ongoing support. Our success is your success! The 2017 Beyond Sport awards take place in New York from July 25th-27th. We are looking forward to attending and hope to see you there. For the full shortlist please go to this link. June 7th 2016. 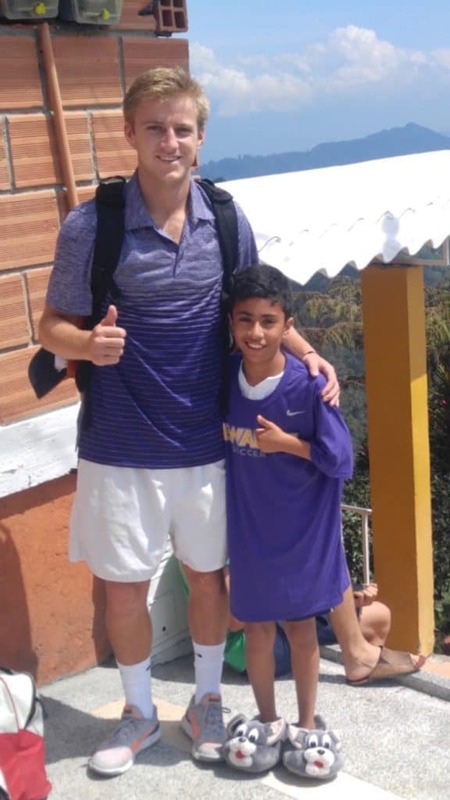 Cameron Hardington writes about his 2nd time volunteering with CAC in Colombia with Colombianitos. 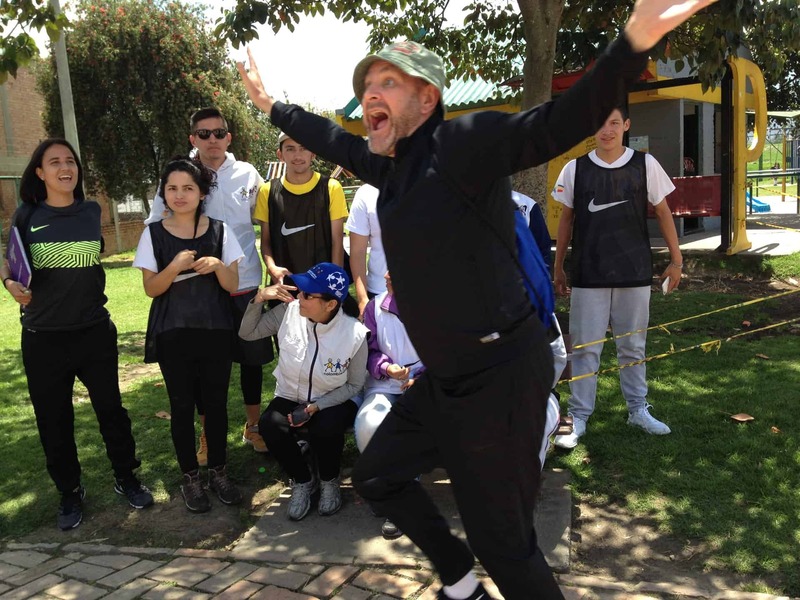 I arrived in Colombia for my second time volunteering with Coaches Across Continents feeling much more confident than I did for my first stint in Africa. I’ve been through the program and am aware of what to expect, and also know how CAC operates on the field. What I was quickly reminded of, however, was that each experience with this organization is a unique one. This is not just because I’m in a different country or culture than my previous time, but that each community we work with has their own needs and interests. 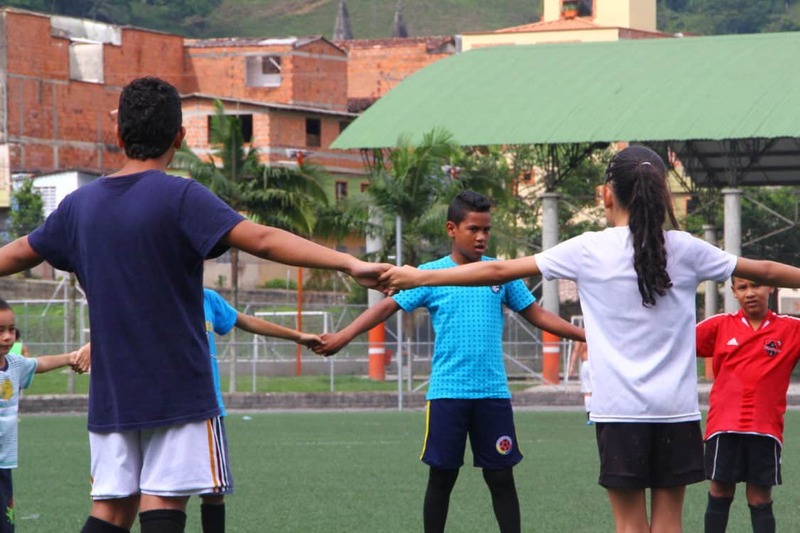 Rather than having a rigid structure of what to do each week, CAC adapts to the needs expressed by each community which makes for a more dynamic coaching and learning experience. It’s one reason why I enjoy volunteering so much. This past week, unsurprisingly, brought new challenges to overcome in regards to scheduling and organization. We scheduled a program with Colombianitos in Barbosa. They were less familiar with our work than previous programs. This to me was an advantage as we got to teach a wide range of our games to show what CAC does. The group we worked with was small but they were all passionate and eager to learn. One game that I particularly enjoyed coaching was a game called Earth, Wind, and Water. It’s a simple game of football with three goals, but when a team scores a goal, it gets taken away. The game is meant to show how pollution (the ball) can pollute your resources, and once you lose your resources, they are gone for good. The group was very receptive and this game, and one coach named Cesar particularly enjoyed it and used it to coach to his kids on Friday. 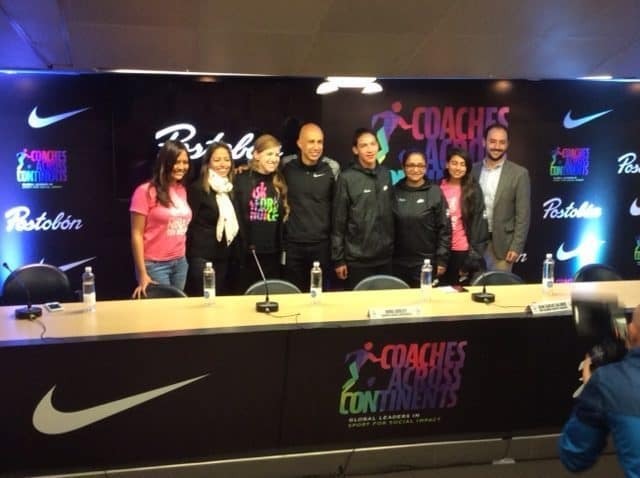 It was a joy to see these coaches willing to incorporate some of the games that we taught them so quickly, and hopefully we will get the chance to work with them again next year in greater depth. For me this week was also a perfect example of how there is rarely a similar week with CAC. It’s refreshing for me to experience that, and it’s why I came back. 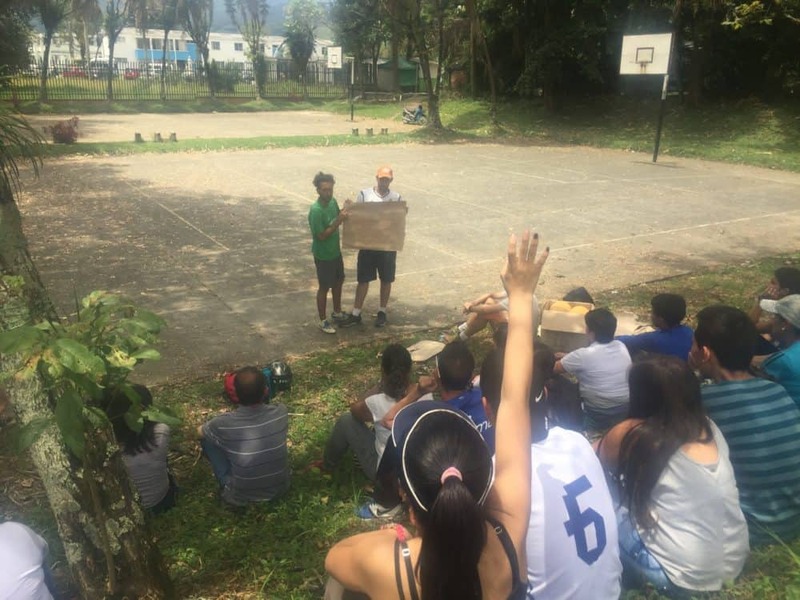 CAC volunteer Bobby Zolper writes about hospitality in Manizales, Colombia with Colombianitos. May 27th 2016. 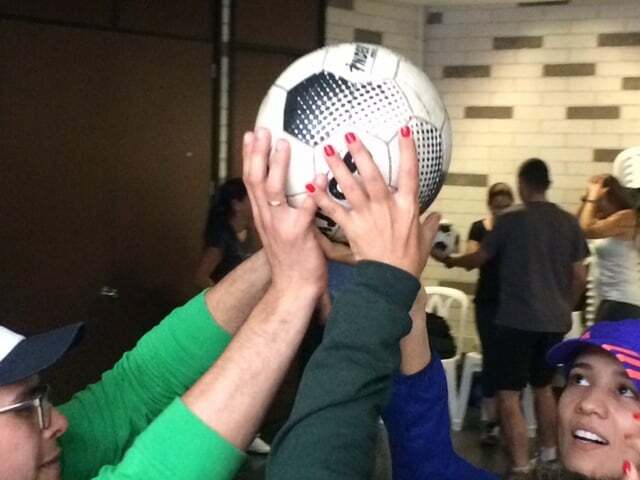 As a first time volunteer with CAC I have found the connections made between ourselves and the people of the partner programs to be profound and quickly formed. 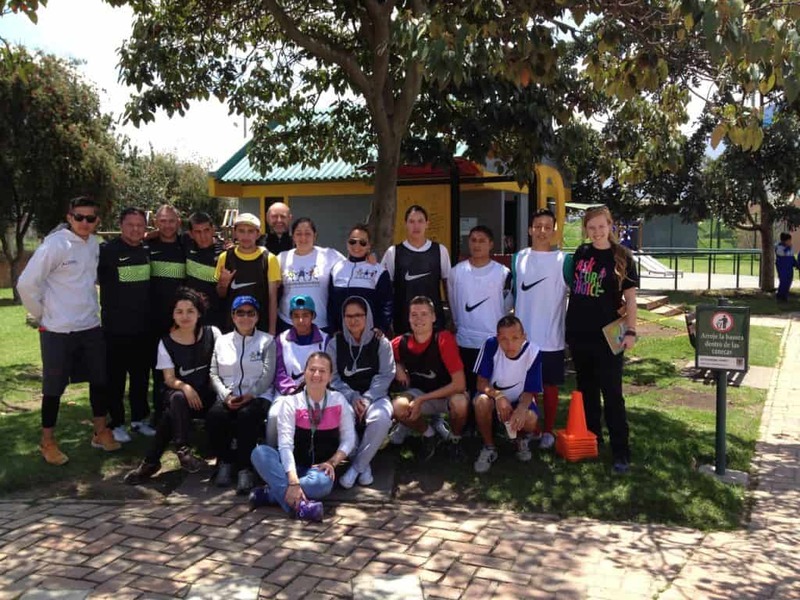 On-Field connections with participants transcend the language barrier through the universal language of football. Regardless of race, ethnicity, gender, or social status, people all over the world can relate to a shared love for the beautiful game. This is a phenomenon I have experienced before and was happy to experience once again in Manizales, Colombia. 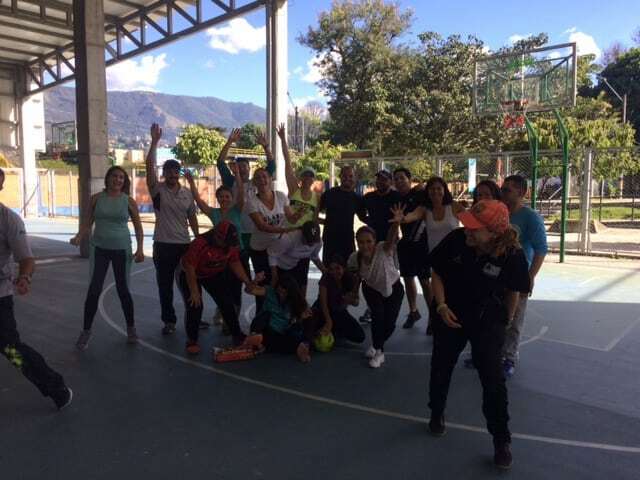 Although I expected to bond with the members of Colombianitos, the organization we worked with in Manizales, I never expected equal connections to carry over to the host family, whom we would stay with for only a week. Our team, consisting of myself, two other volunteers (Cameron and Taylor), a Community Impact Coach from Peru (Pedro), and two full-time CAC staff members (Markus and Ruben), was lodged in a flat directly above our host family. Below us lived Jimena, her husband, a taxi driver named Miguel and her two sons Rafael and Nicolas. We spent most of our down time with the family finding out about each others life in a different country as effectively as our language abilities allowed us to. Most of these questions provided little insight into the lives of one another but rather gave a sense of each others personality and made for enjoyable and incredibly funny conversations. The strongest bond I formed within their family was with 10 year old Nico. Nico shared the same love for the computer game FIFA as I do and, considering my Spanish ability, was the person I was able to communicate best with! Nico loved to play football and was quite the player too. He also emulated his idol, Colombian superstar James Rodriguez. Nico was quick to extend an invitation to play with him and I enjoyed his company as much as he did ours. After a week with the family, we departed for Medellin. Shortly thereafter, we received a phone call from Jimena who had come home to her son crying from missing us being there. This was a touching thing for us to hear and I had not realized how much we had meant to Nico. We had left him with t-shirts from our respective universities and he had left us with a lesson to learn from. If the world was filled with people as genuine and as willing to accept a stranger as a friend as Nico was, we would all live in a much better place. 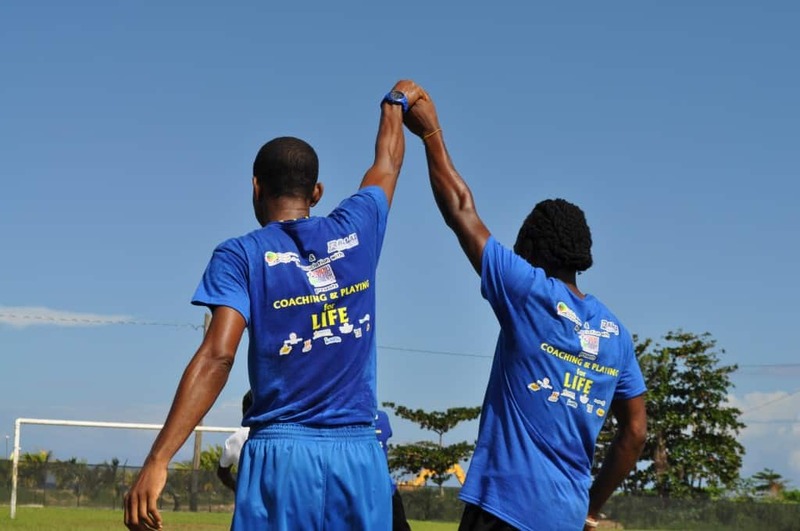 If all people were to connect based upon the shared enjoyment of the human experience the same way we connect over the love of football, CAC would have a lot less work to do! The members of our team thank Jimena and her family for the incredible hospitality and I hope they know they will never be forgotten.